I just read a question on Quora that asked about the problems with the roundhouse kick. There were some good answers. What amazed me is that the accurate analysis provided by my peers lacked a fundamental aspect. 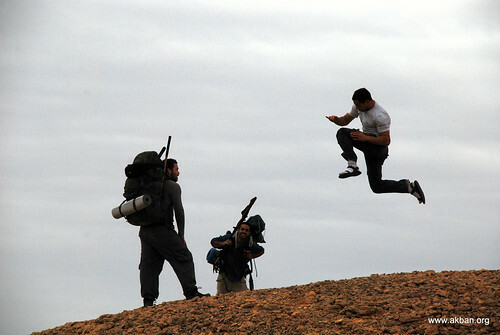 First, to the point – For my students and me, the most fundamental flaw of the roundhouse kick, is that it compromises the fighter’s balance, especially over imperfect terrain. That doesn’t mean we don’t use it, we do use a modified roundhouse in Ninjutsu, it means we refrain from using a Mawashi kick on precarious surfaces. But there’s more, why? because my peers’ answers reveal a deeper flaw. Now, I guess that most of the people reading this online, live in cities and put their feet on pavement or floor more than they step on turf, gravel or rock. but I am really sorry to see such a big part our heritage evaporate. What disappeared from our culture and most martial arts, and what I am desperately trying to save in my dojo, is the connection to nature. By nature I do not mean downloading a nice desktop view of the Alps or even an actual wonderful breath of fresh air in the park. Nature begins with being outside, walking outside. I want to be clear on this – all the New Age jargon about connecting to nature makes me sick. It makes me sick because one can imagine anything and this imagination can then be an excuse to abstain from activity. So if one imagines she is “one with nature” because she just bought an organic iPad bamboo cover, she’ll be less inclined to actually poop outside and cover it. But what does pooping outside have to do with martial arts? you might ask. Everything. It’s the small details that betray an instability. Instability of the roundhouse kick on gravel, instability and unsustainability of our technological culture, instability of what many martial arts have become – a gym activity, boxed existence. Not so long ago everyone walked, walked to bring water, walked to see friends, walked outside. In ancient Japanese budo, pupils used to walk for days just to reach a teacher. And I am not even starting on the necessity of moving on foot, to this day, for soldiers. Walking outside is a part of the human heritage that is becoming a novelty. Just as we preserve ancient martial traditions we should preserve this outside backdrop. The outside was once ingrained in our lives and so taken for granted, now we need to make the effort. And it’s not just the therapy of walking, let’s go back to the details. Not so long ago everyone used to crouch down when going to the toilet, Moses, King David, Mark Twain, everyone. Now we sit on a toilet seat, so our bodies forgot to squat. I see students coming to my dojo who can not squat, that is bad not only for their health ( 1, 2, 3 ) that makes proper stance in Ninjutsu impossible. And there’s more harm done, not only on a physical abilities level but on an ethical level. Only kings were carried on a palanquin and defecated on seats. Now we are all kings or, more accurately, about 40% are kings and everybody else, from the child laborer to the domestic help are paying the real price. Everything serves us because we force it too. We force the environment, even though because of global warming, temporarily, we force the temperature of the air, we force people, far away, to do our bid. And, like the steak eater who never butchered a cow, we think there is no force involved because we never actually sliced a cow’s neck. So on many levels, just being outside, moving outside, without vehicles should be top priority because of mental health, physical health, martial abilities and ethics of mutual interdependence. Martial arts appeal to something real, the feeling of being protected by one’s own ability, but the backdrop that was in the past to our craft, the outside, is gone now. That backdrop of being outdoors, living and practicing in a non airconditioned environment, on gravel, on rocks, that is disappearing now – it’s a novelty. Though more people now live in cities (4) than rural areas, most of our planet is not covered in concrete. We should make every effort to spend time outside, to practice outside, to take only what we need. This is ingrained in my craft but should be so in many other crafts. When more is done outside, less is wasted, more insights gained and simple things like the proper kick at the proper settings are obvious. A student asked me: “Can I do the warm-up with a T-shirt and only then put a Gi on? It’s too hot inside this heavy uniform”. “That’s only logical” I thought, “only logical”. We wear a Hakama, a little black skirt, and also a heavy Gi, we put our big backpacks and walk the desert for the desert gathering, we do not use GPS. It’s just a taste of the many unexplainable things we do. There is more to these then tradition or toughness. I acknowledge the fact, many of these habits are unnecessary and can be made easier, but there is a place for it, it has to do with the concept of respect. Work, respect, must always border the unnecessary. 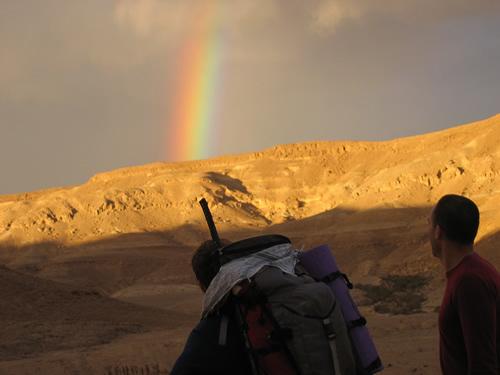 When I recounted the dialog above in the Dojo, one veteran told me: “In the Suez canal, in the Yom Kippur war, we knew it’s the end – either we’ll die or we’ll get captured by the Egyptian army. We felt like it’s the end of the world. We didn’t know if we’ll live to see tomorrow”. I looked at him; I didn’t know what to say in front of the veterans. I’m kind of an ancient guy, but in the Yom Kippur war I was a kid in elementary school. “And then what did you do?” I finally inquired. “We cleaned our weapons, we checked the platoon’s machine guns, and then we tidied our uniforms and meticulously shined our shoes”. I took a good look at him – he never misses a class and in the Yom Kippur war he polished his shoes. In our culture the question asked is: “What’s in it for me?” that’s a different way of saying: “why should I do it?”. In any old school, the question is completely different. Rather then ask about the the functions of the anatomy we sing to the heart. When one answers a question about roses with a mathematical equation one is stuck, there is no perfume in the answer. If a practice, a Budo, is completely logical and necessary it’s good but not powerful. To be powerful is another realm, to be powerful it has to earn the statue of a rose. It must not be fully explainable. Treating our elders well, not stealing even when no one’s looking, putting on a Hakama and a Gi especially on a hot day and, please do not forget – practicing a traditional Martial art in the modern battle field of the middle east. In 1985, I lived in an old age home for only a few weeks. I slept in my grandmother’s room to take care of her. The old people ate three meals a day and I had to prepare myself emotionally for each meal. Every meal, a herd of old people, herd is not a strong enough word to describe the scene, would devour the food. The tenants were concentrated on a goal – eat fast, eat a lot. It was not a good experience, neither for the elderly nor for me. I observed a woman there. She did not carry a samurai sword, she did not fight in any arena, she did not speak much, but she had an aura of power and humanity around her. This old women helped those who had to sit down, religiously blessed and washed her hands and then served food to others before she touched the food. “That’s the Rebbetzin,” they told me when I asked. She did a practice at every meal. I will give a name for this practice: “Honour.” Unnecessary honour, unnecessary, unreasonable, not obvious, and therefore an item that can not be understood in economic reason. When you think of honour, you think of a relationship that is directed towards another person, a relationship that expresses hierarchy and social position with someone else. But there is another respect, an honour directed at a technique, an object, a way of life. Through our gaze and action (and this must be practical) we respect, we honour, a technique, someone, something. In English we write: respect, re-spicare in Latin, in the sense of “look again, look again”. What do we look at again with intent? What is the unnecessary thing to do? How do we look and for what reasons? This is very important, it’s fundamental. What we do is important, but it is not the essence of practicing honour. You can just take the sword and pull it out. But the ritual that precedes the retrieval, the unnecessary ritual, the physical, is the one that establishes practice of honour. “For honour you have to work,” goes the Hebrew proverb. It does not just manifests, it’s an effort. And this effort is a path that separates respect from weakness. Looking again and again at pretty girls, well, that may be re-spicare, but there is no respect in it, because it is not an effort. We need an effort, the woman naturally feels like attacking the food but she doesn’t, and I want to sit all day at home, drink cola and gnaw at cheese. Gideon, in the Bible, understood that respect separates humans from animals. To stop, (stop! ), to drink water in a dignified way, to bow, to give a seat for an old man, unnecessary, unnecessary, and therefore – a gate of honour. Respecting the food we eat, respecting the technique or the person is not an easy job and not an easy choice. I’m not looking for easy choices. “There are no shortcuts,” is the motto of those who can walk long distances. Yesterday a practitioner came to the dojo. He broke his hand three weeks ago and took off the cast. So he came with a bandage and just did the kicks and the sit-ups. It’s his honour to his practice, that’s how he breathes the air of a master, that’s how he is more than just a creature. For us it is Ninjutsu, for someone else it might be social work, Karate, Carpentry, Tai Chi, Vegetarianism, Prayer. Shame and honour do not live together, shame and inner weakness live together. The unnecessary act, the additional observation, the attention, not only go against the bon ton and fashion, they produce a cycle of discipline and power. A circle that does not have to use a boxing bag to draw its boundaries, you can draw a circle of honour with a cup of tea. Honour sets the heartbeat of the martial artist, the carpenter and the poet. Only those who use respect can have strength and precision. I set my clock to a time a few hundred years ago, measuring the time according to the correct attention in the technique, not surprised by having to do repetitive work. And the clock is my frame of reference for practicing honour. Every one can measure his attention with an individual inner clock. In the dojo it is the Ninjutsu technique. In another classroom it’s an old musical instrument, an old musical score, in another discipline someone purifies himself before writing precise Hebrew letters using a feather on parchment. And when a tradition has been using honour for hundreds of years, it is an even stronger . What do I mean? You put your feet in the Ninjutsu’s Kamae, you stop, stop, and listen. You can hear it, that’s the sound of ancient steps, quiet, quiet steps. You do not have to look for honour in a group of fighters, you do not have to look for it in monasteries, on the contrary – here’s your nose and there’s the honor, just under your nose. No wonder there is no Akban diet program. A diet plan of honour and respect can only be understood by a person who has been hungry and chooses, every meal, to be hungry again, like the Rebbetzin. Chooses not to attack food but chooses to exercise power and discipline and wait a little, while hungry, especially when hungry. So, blessing the food, an honour technique. Giving a bow to the sword, an honour technique. Saying ‘thank you’ every morning, an honour technique. Wearing a silly skirt for training, an honour technique. Sitting quietly before a training, an honour technique. Giving a bow, an honour technique. One practitioner, the head-teacher of a Zen temple, was trying to make a sign for the temple’s gate. Calligraphy is Dō. More accurately it’s a Dō called Shodō. I think it’s interesting that calligraphy is Dō not only in Japan but in many places, From the Benedictine monks in the middle-ages, through the beautiful Arab calligraphy and to the ancient Jewish profession of hand writing the whole Bible – Sofer Stam. Maybe that is how Dō develops, out of the need to write down a grocery list, out of the duty to write in your tax form, out of the wish to preserve the scriptures. I firmly believe that these are the precursors for Dō: when the necessary allows itself to become a matter of choice, and the will attends a repetition of that choice, morning after morning, day after day, decade after decade, Then the alchemy happens. The respect, the awareness and the repetition transform the mundane deed into gold. These ingredients are known to every calligrapher, every Zen monk, every pianist and every Sofer Stam: repeat, attend, respect. But there is something else, I have to use a Hebrew word for this because I know of no other equivalent, I’ll use the term “Kefitzat Haderech”. I’ve read this story somewhere – Kossan dipped a huge brush into the ink. The temple’s head student was there to assist and hand the big sheets of paper that were on the meditation room’s floor. Kossan wrote down the words: “The first principle”. The student watched and said: “Not bad, but it can be a bit better”, and handed a new sheet of paper. Kossan concentrated, and wrote down the words: “The first principle”. The student watched and said: “this was not as good. I think the lines are a bit forced. The first one was better”. Kossan helped move away the paper and prepared the brush for another attempt. Kossan, again, wrote down the words: “The first principle”. “Terrible” said the student, who probably had some Israeli hutzpa genes. Kossan wrote forty-eight first principles. Then the student had enough of his teacher’s failures. “Excuse me, teacher”, he must have said, “I need to take a pee”, and left. The teacher took this opportunity and with a worry-free mind he quickly wrote: “The first principle”. “Wonderful!” exclaimed the student upon his return. “Masterpiece”. And it’s there, to this day to remind me: “There are no shortcuts”, but there is a Kefitzat Haderech. 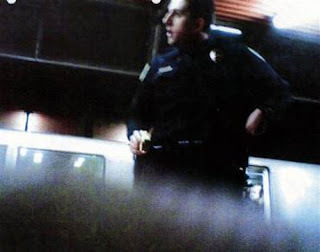 A Former Police Officer from Oakland Police was found guilty of manslaughter of a suspect – Oscar Grant Jr. – who was handcuffed during the act. The court ruled the sentence. Since the officer is white and the suspect a black youngster there are concerns of racial riots in the Bay Area. This case reminds the Rodney King case that broke the Los Angeles riots in 1992. The Grant and King events were filmed by viewers. A paper from 2007, in the Journal of AKBAN, warned that the certainty of documenting personal acts must be part of the strategy of fighting, self-defense and security. ERA, Exposed recorded action, is here to stay and planning according to this certainty is as important as preparing for the enemy’s specific weapons. The Gaza flotilla case is another fatal incidence in which not only the intelligence was lacking but the utter certainty of video documentation was not considered. Combat personnel and security forces must do the new data integration: ERA of what we do is a certainty, not an option. AKBAN, The Academy of martial arts, leads the integration of ERA into personal and group techniques. One of the main conclusions we’ve had is that learning and practicing with non-violent and low aggression techniques improves overall target acquisition. In the video the officer shoots detainee’s head. This is one of many videos taken by spectators in the event. The picture attached was taken by the deceased, using his cell phone, seconds before he was shot. Maybe ethics won’t, but cameras in urban centers may force many martial arts practitioners to reconsider their actions.